When developing content for salespeople to use in the field, follow these simple rules. 1. Customer first, seller second, organization third. Efficiency matters, but not more than effectiveness. The goal is to engage the customer with a tool that the seller actually uses. I’ve seen organizations fail by prioritizing their own needs over those of the customer and seller. If the tool works, then figure out ways to make it scale. 2. Interactivity goes a long way. iOS 11 made iPads even more business-friendly, with new split-screen options and drag-and-drop capability. When a salesperson can hand an iPad to the customer and include them in the sales process, everyone wins. Platforms like Scrollmotion, Bigtincan and Adobe Experience Manager make interactive content accessible to salespeople without requiring an internet connection. Each has its place, and in some cases there's room for more than one. 3. Pictures are better than words. Show rather than tell wherever possible. According to Harvard Business Review, one reason salespeople fail to close is that the customer doesn’t understand how the product helps their business. Visuals deliver information quickly and effectively, particularly in environments where the customer is easily distracted. Some products are harder to show than others, particularly in healthcare, financial services and telecommunications. Here's how to address. Cluttered screens are hard for salespeople to deliver and, more important, for customers to absorb. Miller’s Law, put forth by Princeton psychologist George Miller in the 1950s, established that humans can retain five to nine pieces of information in short-term memory. Translation: Once you put more than five bullets on a PowerPoint slide, you’re wasting your time. 5. Use the right tool for the right purposes. Responsive web design makes the same content deliverable on phones, tablets and desktops, but each format has strengths and weaknesses. Phones are a great way for organizations to reach customers and employees on the go, but they can’t compete with tablets as a way to deliver 1:1 sales presentations. PowerPoints on laptops force the customer into passive mode, stifling interaction and engagement. Once upon a time, most companies sold products that customers could see. A shiny car. A colorful shirt. Easy to photograph, easy to understand. Today more products tend to less visual. You can’t take a picture of a firewall, for example. Or sometimes they’re not very interesting to look at. A revolutionary new drug may look like any other pill. A financial services product turns into yet another set of pie charts. How do you sell a product the customer can’t see? I tell stories for a living, mostly on behalf of companies eager to convey their brand promise to others. Many companies struggle to get their message across. They create materials that are uninspired, disorganized, confusing or just plain ugly. They present too much content with too little structure, yielding one inpenetrable page or screen after another. And when that happens, they alienate employees and customers alike. They wreak havoc unintentionally, eager to reap the benefits of storytelling but unclear on how to do it well. It is my job to show them the way. The way, it turns out, is to separate the story from the telling. The emphasis should be on experiential journalism, stories that audiences can make their own. Joe Zeff Design reopens its doors in Times Square today, focused on integrated storytelling for corporations, publishers, educators and brands. You still making apps? Yep. You still making other stuff? Yep. You still working with Scrollmotion? Yep. You still working with Adobe? Yep. You still riding that motorcycle? Nope. You making more bobbleheads? Of course! 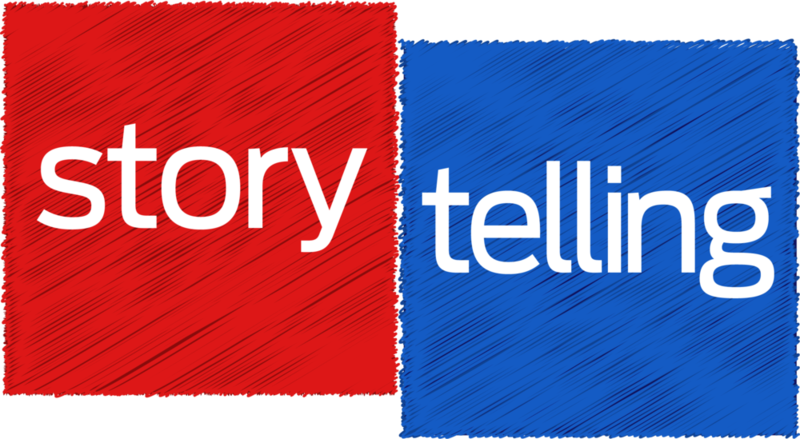 Storytelling has changed the way businesses communicate. Look no further than the Coca-Cola Company home page, where sugar water takes a back seat to storytelling. “Refreshing the world, one story at a time,” Coca-Cola trumpets. The Chase home page is another example, where the bank presents a dozen stories intended to engage customers more deeply than deposits and withdrawals. A message to the incoming board of directors of the Society of Publication Designers from Joe Zeff as he concludes his three years on the board today. This organization is as relevant as you make it. The publishing industry is in transition, as are the lives of its members. As magazines continue to vanish from newsstands and mailboxes, the Society of Publication Designers exists to remind the world why magazines were invented in the first place, to deliver serendipitous delight through indulgent but purposeful rhythms of words and images, delivered with impact and emotion to provide help and hope to anyone who experiences them. Survey any newsstand and immediately understand who we are as a civilization and what we aspire to be. Websites and apps are very different. They deliver here and now without regard for yesterday or tomorrow. What makes a good news app, both in terms of engaging consumers and allowing a platform for advertisers? We consume news much like we consume food. We sit down to meals, and we snack between meals to satisfy cravings or pass the time. Yahoo News Digest is my favorite snack at the moment — flavorful, bite-sized portions of timely content. CNN delivers more nourishing meals, but primarily meals on the go. The New York Times delivers meals on the go, too, plus culinary experiences that go a bit further. These special dishes offer heightened engagement, not only for delivering content but advertising as well. I see tremendous opportunity for publishers to deliver more white tablecloth experiences — ambitious storytelling apps that hold onto consumers’ attention for extended periods, unlike apps built around short bursts of content. The Final Hours of Titanfall, a news app that goes behind the scenes into the development of this year's blockbuster video game, is now available on multiple platforms. It's available for sale at the Tunes App Store (iPad), Windows Store, Origin (PC/Mac), Google Play (Android), Steam (PC/Mac). A free sample chapter is available on Medium.com. The app demonstrates what's possible for long-form journalism on the tablet, where users tend to be more focused and more engaged than when viewing content on phones or websites. Unlike HTML websites, tablet apps deliver immersive, multi-touch experiences that can be accessed anywhere once downloaded, making devices like the iPad — and now the Surface —unbeatable for storytelling. Documentary films move us, excite us, awaken us, enrage us. They compel us to act. But for all of their power, they lack the ability to engage us. We watch rapt for an hour or more, and then the lights come on. We leave the theater with no immediate way to channel our empathy, our awareness, and in some cases, our anger. Appumentaries are digital applications that build upon storytelling presented in books and films to deliver interactive experiences. We can leverage technology to convert isolated groups of individuals into communities. We can transform passive experiences into interactive ones that present content in myriad ways. We can provide ways for audiences to respond, for teachers to enlighten, and for students to explore. We're pleased to announce that our first such project, an iPad app called Spies of Mississippi: The Appumentary, is now available in the iTunes App Store. The Official Super Bowl XLVIII Interactive Game Program, an iPad app published by the National Football League, is available today in the iTunes App Store. The app was designed and developed by Joe Zeff Design using Adobe Digital Publishing Suite. Versions for Windows Surface, Android and Kindle tablets on their way. • More than 30 videos, allowing fans to relive every week of the 2013 NFL season, both teams' roads to the Super Bowl, and the top 10 Super Bowls of all time. • Animated starting lineups for Denver and Seattle, and a 3D rendering that provides a bird’s eye view of MetLife Stadium. Listen closely for Peyton Manning's signature "Omaha" call during the virtual snap count. • Real-time Twitter and Instagram feeds, current weather conditions in East Rutherford, NJ, and a countdown clock toward next year's Super Bowl. • A Super Bowl history section with recaps of every title game, including game photos, text summaries and high-resolution images of every Super Bowl ring, and 16 feature articles with photo galleries. • Iconic music from the NFL Films archive, presented through an innovative audio player that's as fun for the eyes as it is for the ears. • Activities for the kids: Picture yourself as a Bronco or Seahawk, or drag warm clothes onto a frozen spectator attending the first cold-weather Super Bowl in decades. • Sortable lineups by name, number and position; links to every NFL team website; multimedia advertisements for Microsoft, GMC and Adobe; and much more. If that's not enough to satisfy your craving for content, the app has a custom storefront stocked with past Super Bowl programs that can be purchased and downloaded to your tablet. And immediately after Super Bowl XLVIII, this year's program gets an update with photos, video and a recap of the big game. Tick, tick, tick . . . only nine days remain to enter your best publication design work, both print and digital, in the Society of Publication Designers' annual competition. The standard rate of $45 per entry for members, $90 per entry for non-members, holds through January 17, after which there's a $10 surcharge on each late entry. What we're looking forward to in 2014 . . .
Smarter apps. Technologies like iBeacon will help apps deliver more relevant content to users. iBeacon is an indoor-positioning system through which tiny transmitters send Bluetooth signals to iOS devices within a 160-foot radius. Think customized coupons as you walk into a store. Think popup video as you approach a museum exhibit. Think multimedia that summons you on the sidewalk. Used indiscriminately, it's spam. Used smartly, it's a game changer. New business models. Of the 1 million-plus active apps in Apple's App Store, 62 percent (617,011) are free and 19 percent (187,292) are 99 cents. Publishers will be hard-pressed to justify high-priced applications in the land of the free, and will be challenged to monetize content in new ways. Worth noting: The average price of an app is $1.39. The average price of an iBook is roughly $9. People are willing to pay for quality content. It's all about the way that it is packaged, marketed and distributed. Hmmmmm . . .
Narrowcasting. At JZD, our workload has shifted dramatically. Instead of developing apps for the masses, we're called upon more frequently to create apps for highly targeted audiences. Currently in development: apps for employees, for sports fans, for tourists, for children, and for retirees. Some are headed to the App Store, others are to be distributed privately. As tablets proliferate, so do opportunities to captivate specific audiences. Magazines 3.0. As digital magazines flounder, we hope that publishers will rethink their business models. We'd like the option to buy magazines a la carte, choosing individual articles and categories for a personalized experience. We want content where it's useful: Entertainment Weekly reviews in my Netflix app; InStyle suggestions as I'm shopping for shoes; Sports Illustrated content as I'm seated at the stadium. And let us purchase the products we see onscreen without fussing with a credit card. New delivery vehicles. We continue to build tablet and mobile apps using Adobe Digital Publishing Suite, but we're watching closely as web-first platforms get better and better. We're closely watching Medium, Tumblr, Atavist, Publet, SquareSpace and the ambitious multimedia stories being produced by Sports Illustrated. Web-first publishing offers ubiquity. But it lacks spontaneity, forcing content into templates. Expecting lots of movement here in 2014. It should be an exciting year. Appy holidays from your friends at Joe Zeff Design, and above all else, stay classy! PowerPoints are being replaced by interactive presentations that can be distributed to groups, updated in real-time, measured using analytics, and enhanced with polls and surveys. Ditto for employee manuals, marketing content, e-learning materials, event programs, consumer surveys, point-of-purchase kiosks and more. It's happening now, and reflected in our client list. Our partnerships with Adobe and Tekserve enable us to deliver one-stop solutions for our clients, with software and hardware solutions that integrate with our strategic, creative and production offerings. Tablet magazines need not fail. Here’s how to save them. 1. Make tablet magazines more focused. Consumers may not download an automobile magazine on their iPad every month. But they may hunt down an app that helps them choose the right minivan or muscle car. Break existing magazines into a la carte offerings, enhance them with utility, and distribute them to targeted audiences. More on the topic, from a 2010 blog post. If only publishers had listened. 2. Partner. Publishers have content. Brands have products. Put them together and you have a powerful way to sell merchandise. Nike sells running shoes. Publishers make content for runners. An app that helps runners train for a marathon by providing advice, interspersed with marketing for Nike products and e-commerce links, delivers value for everyone. 3. Make them special. If consumers can get the same content elsewhere, they will. Capitalize on ways that tablet magazines trump the web: rich design that isn’t confined to templates; offline content that doesn’t require internet; instantaneous interactivity without streaming; experiential content that leverages tablet features like gyroscopes and cameras. 4. Get people talking. Magazines are full of stories. Let consumers join the fray through real-time commenting, twitter feeds and other modules that turn soliloquies into dialogues. Turn magazines into something to do, rather than something to read. Provide access to the authors and subjects of your magazines through in-app forums that incentivize consumers to participate. 5. Get people shopping. Every magazine spread is a catalog waiting to happen. Embed click-to-buy links and infuse your content with e-commerce capabilities. The commissions provide revenue opportunities that allow publishers to shift their models from money-up-front issues to free content intended to amass large audiences bustling with buyers. Let’s hear from you. Tweet your thoughts to @joezeffdesign. Next Stop . . . Manhattan! Joe Zeff Design relocates from Montclair to Manhattan for two straight weeks in October, the first of many tour stops as JZD takes its show on the road. Over the next year we intend to set up shop in different cities for a week or longer to make new friends and partners and reconnect with current and past clients, too. Let's grab breakfast, or lunch, or dinner . . . come by our popup location near Grand Central Station . . . or invite us to your place to chat. Let's talk about apps — ours, yours and everyone else's — and find ways to work together. We've set up a microsite to schedule appointments — or you can shoot us an e-mail at studio@joezeffdesign.com. We're planning more popups in more cities — workshops, boot camp, presentations — and want your input. Not only can we design and develop apps using Adobe Digital Publishing Suite — you can see our work here — we can train your organization to make great apps, too, leveraging HTML functionality, animation tools and workflow enhancements to maximize impact and efficiency. The most legendary team in college football now has an iPad app to match. The University of Notre Dame's official app for all of its athletics programs, designed and developed by Joe Zeff Design, is now available in the iTunes App Store. Notre Dame Athletics contains the University's first-ever Interactive Football Yearbook, with features about each student-athlete, coach and opponent; animated diagrams of Notre Dame Stadium; a recap of last year’s 12-1 season including the BCS National Championship Game; a 3D timeline highlighting the team’s storied past; and more. Throughout the 2013 season, we'll work with the University to produce 12 issues of an interactive gameday program, presented by Coca-Cola. Each will be packed with previews, rosters, features and lineups for the upcoming game and multimedia recaps of the previous game. The interactive gameday programs will be available through the same app that contains the Interactive Yearbook. We developed the app using Adobe Digital Publishing Suite, which allowed us to deploy experiential content on nearly every screen: embedded video, animated typography, parallax-infused photography, an up-to-the-minute Twitter feed, social sharing tools, and more. The feature-rich app was produced in less than six weeks, far less time than a traditional app. • To make money. Tablets continue to become more popular, and software applications created specifically for tablets make content more desirable to consumers. Selling apps is one way to make money, but value can be derived from other sources: advertising, e-commerce, marketing, cost savings and brand building. • To deliver more effective messaging. 82% of consumers primarily use their tablets in the home, uninterrupted by work, and 1 in 3 uses their tablet more than their TV. Users are more likely to spend extended periods consuming content on tablets, without the disruptions of text messages on phones and banner ads on desktops and laptops. • To present enhanced content. Bigger screens, powerful processors and added memory make tablets ideal for multimedia content. By downloading an app, the user effectively preloads the content on his or her device. This allows developers to deliver large applications containing immersive storytelling experiences. • To round out a communications strategy. Phones are best for delivering short blasts of content. Print goes deeper, but only words and pictures. Websites go deeper yet, adding multimedia, but force content into cookie-cutter templates. Tablets extend the ecosystem of content and context, offering a freeform environment for the richest-possible storytelling. • To provide companies with greater control. Companies large and small are turning to apps as a way to deliver managed content to customers and employees. Apps allow businesses to measure activity, confine specific content to password-protected areas, perform remote operations including updates, and much more. Joe Zeff Design took part in an Adobe Education event in Baltimore yesterday focused on Adobe Digital Publishing Suite and its potential impact on universities. The takeaway: DPS is not just a way to digitize brochures; the platform can be used to help attract new students, make your school more accessible, enhance learning materials, intensify fundraising efforts and stay connected with alumni.